The median OS was not evaluable, though the estimated 2-year OS rate was 78.7%. 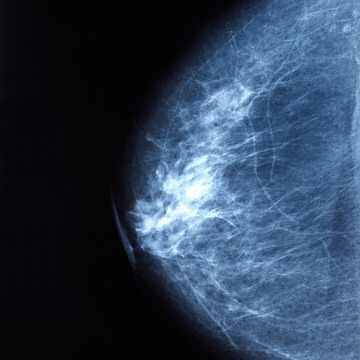 Evidence from previous studies suggests that everolimus plus endocrine therapy (eg, tamoxifen, fulvestrant, letrozole, and exemestane) improves progression-free survival (PFS) among patients with hormone receptor–positive, HER2- breast cancer. For the open label phase 2 BOLERO-4 study (ClinicalTrials.gov Identifier: NCT01698918), researchers treated 202 postmenopausal women with ER+, HER2- breast cancer with first-line oral everolimus 10 mg plus letrozole 2.5 mg daily and, in the case of disease progression, second-line therapy with everolimus 10 mg plus exemestane 25 mg daily. Ninety-six percent of patients had metastatic disease and 4% had locally advanced breast cancer; the median age was 64 years. After a median follow-up of 29.5 months, the median PFS was 22 months (95% CI, 18.1-25.1) for patients treated with first-line everolimus and letrozole. 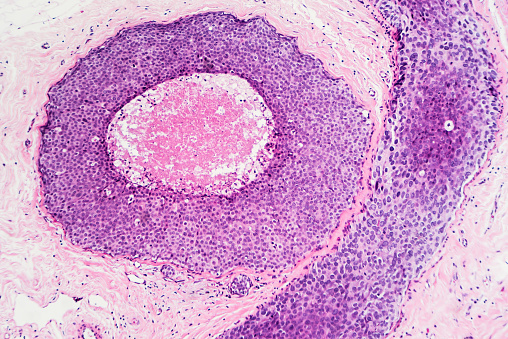 The median overall survival (OS) was not evaluable, though the estimated 2-year OS rate was 78.7% (95% CI, 72.1%-83.9%). Of the 50 patients who received second-line therapy, the median PFS was 3.7 months (95% CI, 1.9-7.4). The most frequently reported grade 3 to 4 adverse event (AE) was anemia; the most common all-grade AE was stomatitis. For patients receiving second-line therapy, the most common grade 3 to 4 AE was hypertension, and the most frequently observed all-grade AEs were stomatitis and weight loss.